Our membership wrote the definitive open source GRC standards that help organizations integrate GRC and achieve Principled Performance. 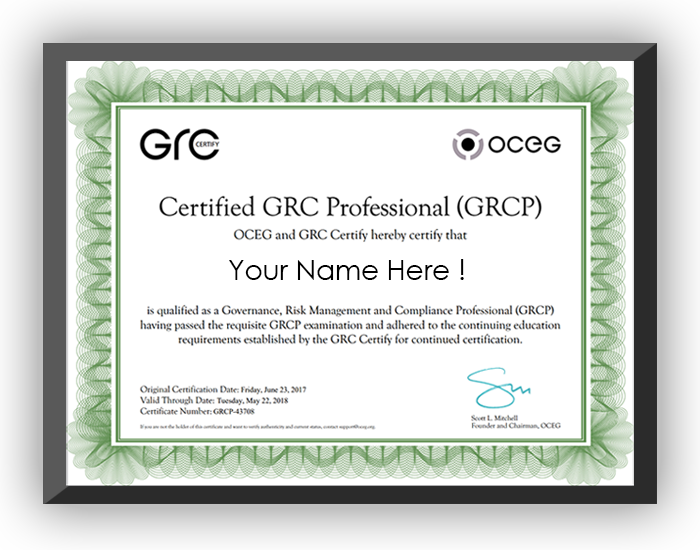 Ranked by several organizations as "the best" and "must have" certifications, our GRC Certifications help you become better across all GRC disciplines by filling gaps in your education or experience. Our webinars cover a wide-range of GRC and Principled Performance topics. Resources to help you learn about, plan, assess, and evaluate your GRC capabilities.